The building in which we have worshiped for most of our history was built in 1831 as a mission of the Pittsford Methodist Church. Originally the thriving communities of Holden and New Philadelphia (a vanished settlement at the end of River Road) were served by a circuit riding preacher whose main parish was the town of Pittsford. The national dispute over slavery became locally significant when a significant group of disgruntled Methodists who were impatient with the careful politics of their bishops left the church and formed the "Friends of Freedom." This group began meeting in the schoolhouse in North Chittenden in 1851 and then joined the newly organized Wesleyan Methodist Church. On February 19, 1856, this group bought the church building from the Methodist Episcopal Church of Pittsford for $125, the expense being shared between the 13 charter members. In the time since that purchase attendance has fluctuated many times, programs have flourished and withered, a parsonage has been built, flooded out, and rebuilt, additions have been made to the building, missionaries have gone out and pastors have come in. And throughout it all the one constant has been a steady devotion to Jesus Christ. In the long history of the church there have been bright spots and low points but the good news has always been proclaimed and Jesus has always been exalted. 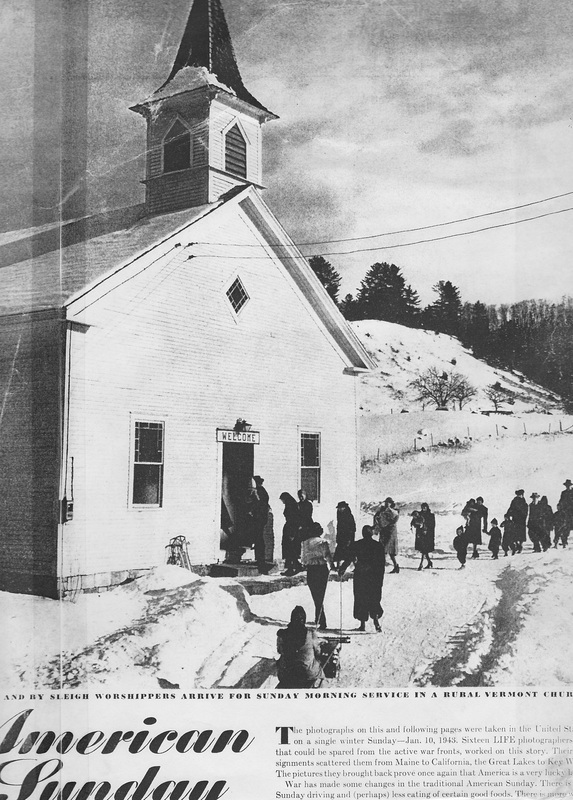 From "The Friends of Freedom" to "Holden Wesleyan Methodist" to "North Chittenden Wesleyan" and now "Furnace Brook Wesleyan" the name has identified the same church, a church determined to glorify God by reaching the lost and meeting the spiritual needs of the faithful. In October of 2012 we found ourselves embarking on the next significant chapter in our church's history as we came full circle with a return to Pittsford. We began holding services in a rented building on Route 7 in Pittsford, the town that built our current building in North Chittenden. In the Spring of 2016, we began again adventuring with Jesus as we and our brothers and sisters from Forest Dale Wesleyan Church in Brandon, VT merge our two churches to make one church with two locations. It is our desire that this move will make a new church that will be more effective in reaching Rutland County than either church would have been on its own. With the addition of another platform and time for proclaiming the gospel we are excited about the prospect of seeing more Jesus in more places at more times for the benefit of more people. It is truly an exciting time to be part of what it is God is doing in Vermont and particularly in our church.